Apple supplier Taiwan Semiconductor Manufacturing Company has begun commercial production of chips manufactured using its advanced 7-nanometer process (via DigiTimes). 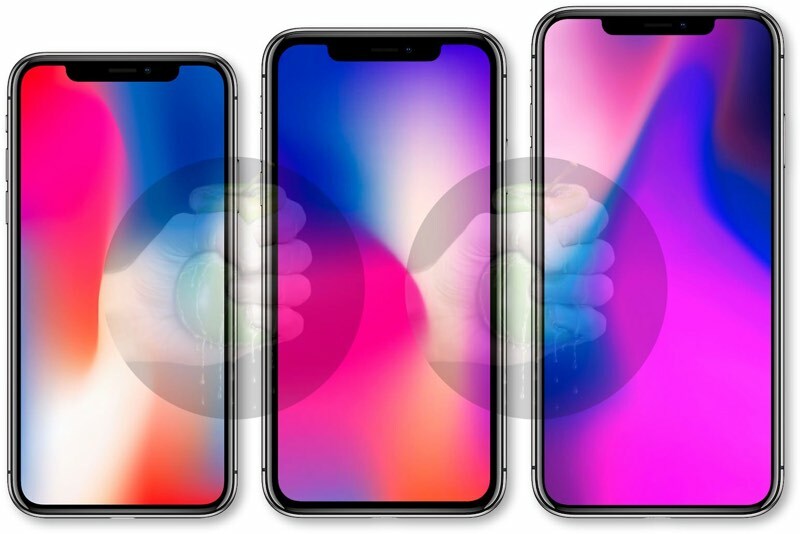 One of the major customers for chips built with the technology will be Apple and the A12 processor, which is expected to be found in all three upcoming 2018 iPhones. The announcement comes from newly appointed TSMC CEO C.C. Wei, who spoke during the company's technology symposium in Taiwan yesterday in hopes of dismissing recent speculation that TSMC's 7nm production was facing a "slower-than-expected" yield rate. Wei didn't provide specific orders and customers for the 7nm chip output, but indicated the ramp up will boost TSMC's overall production capacity from 10.5 million wafers in 2017 to 12 million in 2018. The chips built using the 7nm process technology are destined for AI, GPU, cryptocurrency, and 5G applications -- totaling 50 chip designs by the end of 2018. For iPhones, the new 7nm process will pave the way for the type of performance improvements customers expect in new iPhones every year. Orders for Apple's custom A12 processor for use in the upcoming iPhones will play a major driver of TSMC's 7nm chip production growth in 2018, according to market sources. The foundry has secured 7nm chip orders from about 20 customers including AMD, Bitmain, Nvidia and Qualcomm. The majority of the orders will be carried out in the first half of 2019, the sources said. At the technology symposium, Wei also said that TSMC is scheduled to move a new 5nm node technology to mass production towards the end of 2019 or early 2020, with plans to invest $25 billion into the technology. In January, DigiTimes reported that Apple selected TSMC to remain the exclusive supplier of the upcoming A12 processor for its 2018 iPhones, following rumors from last summer that Samsung could be returning to iPhone chip production this year. TSMC is the exclusive supplier of the A11 Bionic processor found in the iPhone 8, 8 Plus, and X, as well as the sole supplier of the A10 Fusion processor in the iPhone 7 and 7 Plus. According to a DigiTimes report last year, TSMC's integrated fan-out wafer-level packaging technology -- which the supplier uses in its 7nm FinFET chip fabrication -- is largely superior to any progress made by Samsung in the same field, which eventually led to Apple's decision to stick with one supplier for all of its processors again this year. Apple's decision to keep TSMC as the sole A-series chip manufacturer in 2018 will mark the third year in a row that the supplier created iPhone chips alone, following the A10 in 2016 and the A11 Bionic in 2017. The last time Apple dual sourced chips was in 2015, when both Samsung and TSMC supplied the A9 chip in the iPhone 6s and iPhone 6s Plus, which frustrated some users when TSMC's technology was discovered to boast slightly better battery life. The beast A-series chips march forward. Hundreds of millions. 216M last year. The last time Apple dual sourced chips was in 2015, when both Samsung and TSMC supplied the A9 chip in the iPhone 6s and iPhone 6s Plus, which frustrated some users when TSMC's technology was discovered ('https://www.macrumors.com/2015/10/08/samsung-tsmc-a9-videos/') to boast slightly better battery life. This situation was pretty comical. Before the news about the TSMC chip being slightly better, there were a lot of posts on the forum of people complaining about it, saying that they did not want to get, or they ended up getting the TSMC chip, and they wanted the Samsung one. I think there where people speculating where the to source the iPhones with the Samsung chips, like what stores, or carriers. Then the tests were done showing that the TSMC chip performed better. I got a laugh out of it. I think in the whole scheme of things, it probably wasn't even noticeable. I'm holding out for 2nm. It really is amazing how small they are getting. Looking forward to it. Wish the notch was only 7nm though. This reminds me...I have to patent 4nm chips later today so I can sue somebody in 6 or 7 years. It really is amazing how small things are getting. 5 nm equals 50 Å. We’re way below frequencies of light and getting into atomic radii. I don't mind the 7nm size, I just like mine salt & vinegar flavor. I read many posts here from people swapping their phones several times until they got the chip they wanted. I don't remember now which one I had but it was whatever was considered slower and it was perfectly fine with me. Seems like I had the Samsung chip. Forgot all about this. Seems like I had the Samsung chip. Forgot all about this. I know there was an app to show which chip was inside the phone, I never bothered to check. But, I guess I understand that some people might feel cheated if they got a phone that was slightly not as good as other people with the same phone.